Record on the Go.Touring the world with LGP2 Plus? A tap on the hot button initiates 1080p60 recording, keeping all your road games in the microSD card. LGP2 Plus works right out of the box. Unlike other video capture solutions LGP2 Plus uses the latest UVC technology, this means all you need is already in your computer or Mac, simply plug it and you are ready to stream . 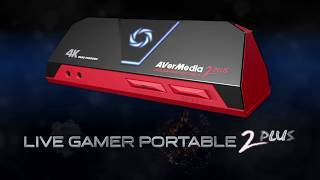 More links for "GC513 4K Live Gamer Portable 2 Plus (LGP 2 Plus)"